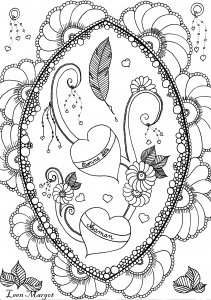 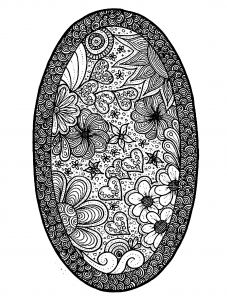 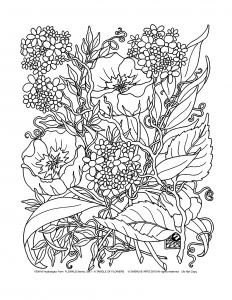 Many details are hidden in these adults floral coloring pages prepare your pens, make yourself comfortable in your garden... we advise you to have a high range of many shades of green, so that the result is as beautiful as possible. 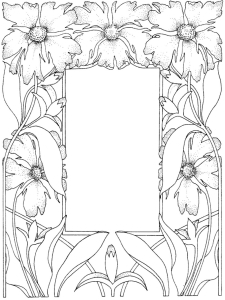 Flowered framework : draw what you want in the center, or add a picture ! 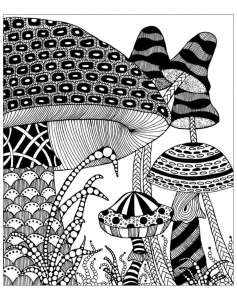 Zentangle mushrooms to color ! 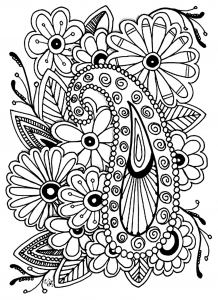 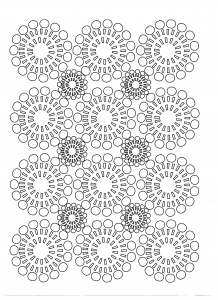 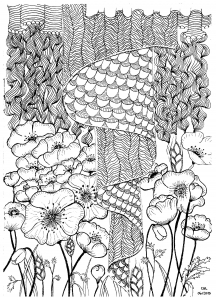 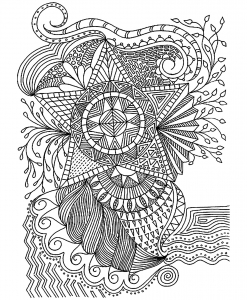 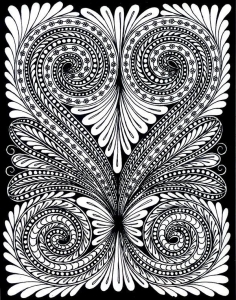 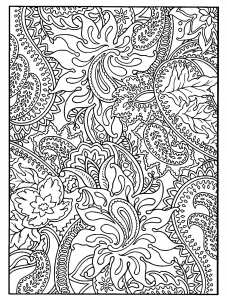 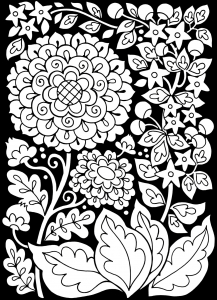 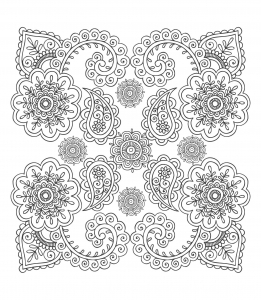 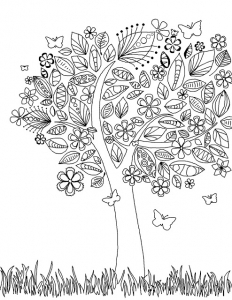 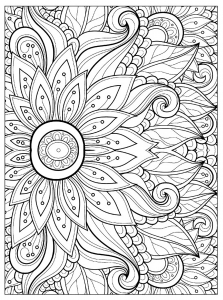 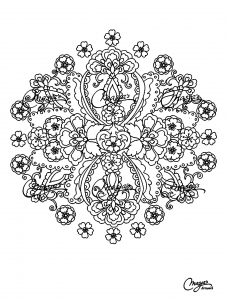 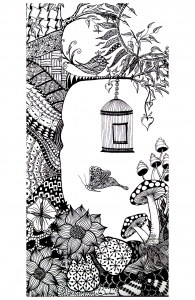 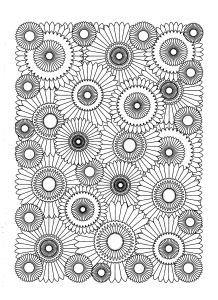 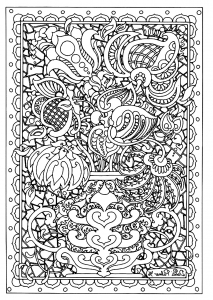 Hypnotic coloring page with leaves that seem to move !